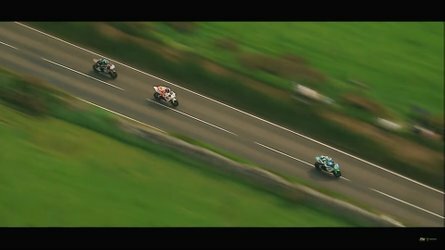 When it comes time to take a trip on your motorcycle, you’re going to have to bring some things with you. The easiest, safest, and most secure way to do that is with motorcycle-specific luggage, letting the bike carry the weight. But what style is best for you? Let’s start with soft luggage. These are more like duffel bags for your bike. Generally they have a zipper or clip closure and are secured to the bike with adjustable straps, making them reasonably universal. 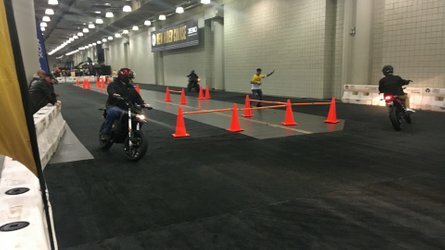 There is soft luggage that leans more toward a dirtbike application (often drybag style) or a cruiser application (often leather) or a sportbike application (often cordura), but can usually be modified to fit whatever you ride. Unless your soft bags are nylon-coated like a drybag, their waterproofness is going to be questionable. 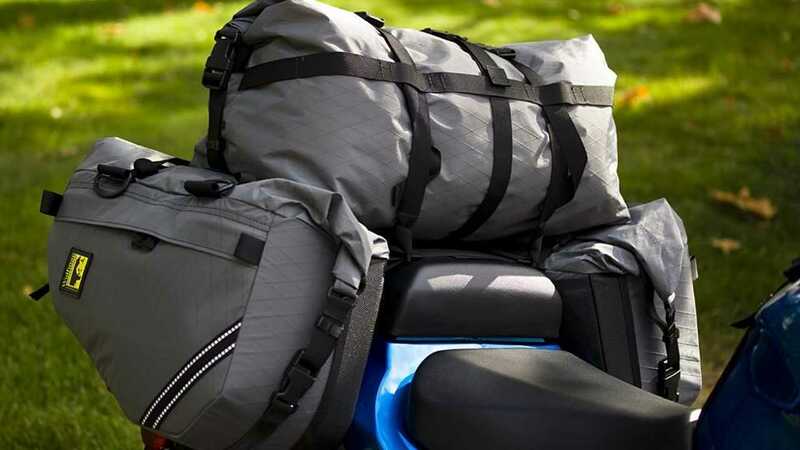 Soft luggage is convenient because most of the time you do not need specific racks to fit it to your motorcycle, and it can be fully removed quite easily. You can get a soft luggage rack for your bike. With that said, without a rack there is nothing to hold this luggage away from easily-scratched or hot parts of your motorcycle. You must be very careful every time you put the luggage onto, or take it off of, your bike, to make sure that it is secure and will not shift, placing it in danger of melting against an exhaust pipe or wedging into any moving parts of your bike. Soft luggage is lightweight, and can be rolled up or collapsed when empty very easily. It is easy to carry off the bike and it is fairly inexpensive, all told. It also can help create a narrow profile, and in a crash has less of a chance of injuring the rider. That all said, soft luggage has its disadvantages and this is where hard cases shine. Certainly hard luggage is first and foremost more expensive than its soft-sided counterpart. It is heavier and bulkier, and it is always the same size whether it is packed to the gills or perfectly empty. 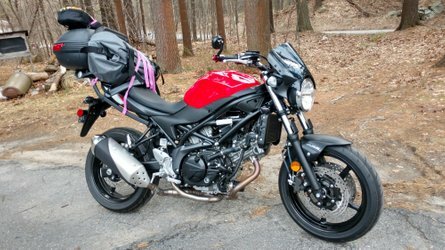 It requires application-specific hardware that is a relatively permanent install on your bike, so even if you take the bags off, the racks remain. Hard luggage, though, is lockable. Where soft luggage can be cut open or cut off, hard bags present a much tougher target for a would-be thief. Even if your soft bags are attached with a strap under your locked seat, a pocket knife will make short work of them. Hard luggage is the most secure option for when you’re going to park your bike and be out of sight of it. 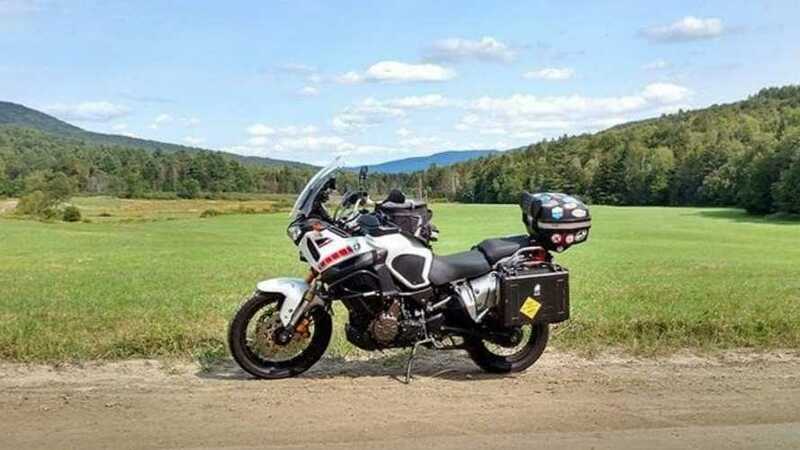 Hard luggage is secure from another standpoint: properly affixed to your motorcycle, it will never shift and melt against your pipes, or scratch your paint, or wedge itself into your rear wheel. Where you put it is where it will stay, and securing it is generally a five to ten-second proposition, instead of minutes spent adjusting straps and making sure your seat still clicks into place. Hard luggage is quite a bit heavier than soft, but it is waterproof. I have a Givi e45 case that I bought used, which has to be at least 20 years old at this point, and it is still perfectly waterproof. You can often wire your hard luggage for lighting. You can certainly put retro-reflective stickers on your hard bags for extra visibility, while with soft luggage you are left with whatever reflective piping the manufacturer chose to apply. It’s more of a project to carry hard cases away from the bike, but if you use case liners you can just leave the bags behind, locked to the bike, and carry the liners into, say, your hotel room for the night. Not least, a good heavy pannier will function as a really good frame slider in the event of an unplanned get-off. 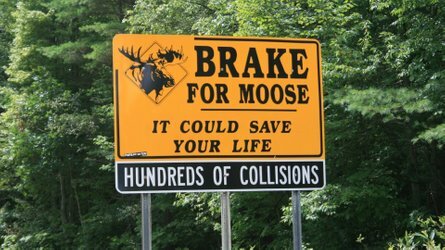 You may scratch up the surface of the bag, but any hard luggage and rack system worth its salt will survive a mild to moderate accident with only cosmetic damage and without leaving your unmentionables strewn about the roadway. Replacing a single saddlebag is easier than replacing motorcycle hard parts. 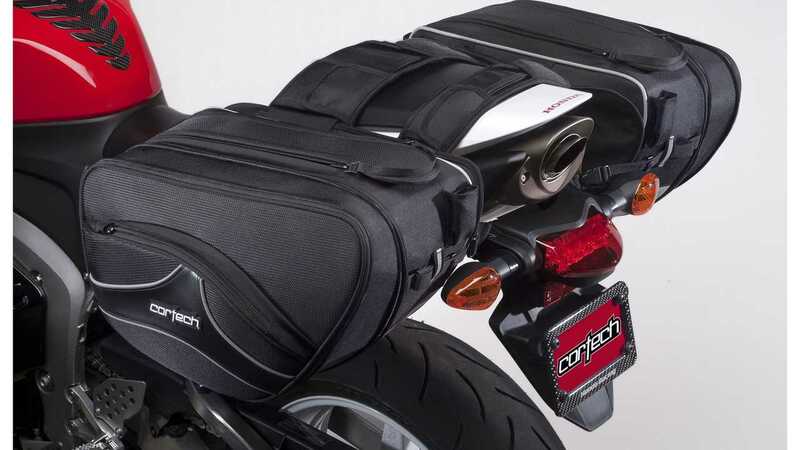 Now that you know all about the good parts and bad parts of each type of motorcycle luggage system, you’ll need to figure out which features are most important to you and your riding style and use that information to shop!